¡Paletas y Bicicletas! is right around the corner and if the promise of BICYCLE GIVEAWAYS, LUCHADORES, PINATAS and MARIACHIS isn’t enough, there will also be DOOR-PRIZES! 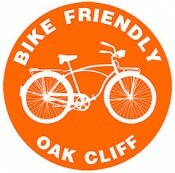 So for participants that may be too BIG(we prefer not to use the word OLD) to ride a children’s bike, we will giveaway passes to the Dallas Arboretum and Botanical Garden! Free Admission and Parking, just in time for Dallas Blooms! Please, RSVP, Share and Invite friends here! See ya March 7th, and bring a friend! ← Ride with BFOC to the St. Patrick’s Day Parade!